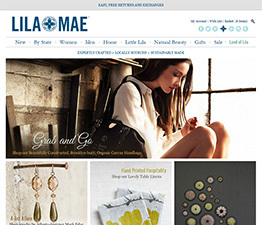 LilaMae approached us because they required frequent updates to their online store's home page with a quick turnaround. They selected BigCommerce to provide them with a powerful ecommerce solution, however they found that it was sometimes difficult to customize. Working together, we discovered ways to hook into the template system and modify the store to work the way they wanted. After customizing and learning about both BigCommerce's abilities and limitations, they decided a ground up redesign could better match the vision they had for their customers' shopping experience. The Women's Association of Morristown Medical Center approached us to redesign and develop their existing event site. Limited in the past by their content management system, we worked with them to develop a customized system that allowed them to control content areas on the site as well as provide their designers and landscapers the ability to maintain their own individual listings with administrative oversight. Before, during and after the event, we transitioned the functionality of the site from general information to data gathering, to sponsorship sales, ticket sales, visitor information and an online virtual tour of the designers' spaces. 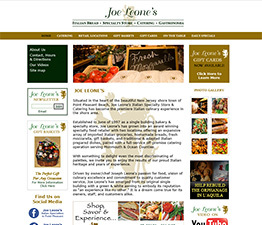 Joe Leones of Point Pleasant, New Jersey needed a redesign of their site that had been developed years earlier. We worked together to come up with a modern, minimal design along with some content management features that allowed them to update their daily specials and photo galleries. We've worked with them over the years to update content and integrate social media features. We also set up an online holiday catering order form that integrated with their payment provider to allow them to streamline their holiday catering operation. The Chamber needed a redesign of their site along with content management features that allowed their members to update their own profiles on the site with their business information. Their site also consists of an event calendar, news manager with a home page rotating display. Other features are a customized calender for their First Saturday and Asbury Underground monthly events and a new member welcome area. 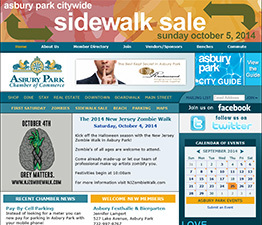 We work closely with the Asbury Park Chamber in updating their site for different events that they have throughout the year, including a Wine Tour, Restaurant Tour, Sidewalk Sale, Oyster Festival, Zombie Festival and Carousel Awards. 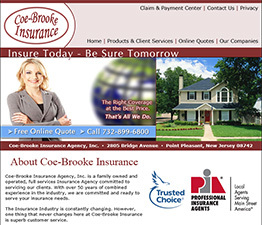 Coe-Brooke needed an informational website that provided their customers and potential customers with information about their different insurance offerings. They also needed a series of forms for gathering information securely in order to provide quotes for insurance and process claims. 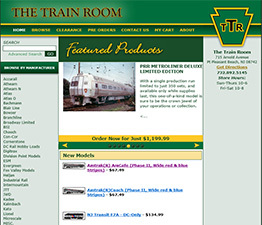 The Train Room of Point Pleasant, New Jersey required an online store to help them sell their unique and hard to find model trains and accessories. We created a custom solution which allowed them to manage their inventory, feature products and integrate with their payment processor. Their store's initial inventory was converted from a series of downloaded spreadsheets from their different providers which they were then able to modify as needed. 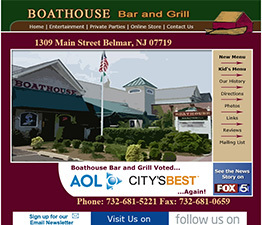 The Belmar, New Jersey restaurant needed a site redesign and photo gallery to inform their customers of their location, contact information, menu options and history and to sign up for their email newsletters. There are also links to their social media offerings. 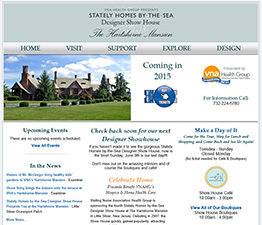 The designer showhouse needed their website redesigned and developed in order to promote their event, gather sponsors and sell tickets. The complete customized content management system allows their designers, landscapers and boutiques to enter their own information which is then approved by Showhouse staff. This information is used for print and website publicity. They also have an event system, past show house display and an interactive floor plan. 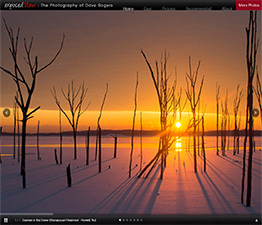 As a photography hobbiest, I created this personal portfolio site to showcase a collection of my work to share with family and friends. To let the photography itself drive the design of the site, I kept the navigation minimal yet still accessible and intuitive. We think our work speaks for itself. If you would like to see more of our client's sites, contact us and let us know. We'll be happy to share them with you.